Open your Business Growth account or Business Entrepreneur account instantly when you apply online with MyInfo (Login via SingPass) or your OCBC Personal Banking credentials. No need to queue. No paperwork needed. Easy access to your business accounts. Make transactions securely across desktop, tablet and mobile. Powered by data from the various business apps that your business is using. See how the different parts of your business is performing, all in one place, on any device. Start seeing patterns and trends that can help you to manage and grow your business better. Free for all OCBC Business Banking customers. SMS/email alerts directly to you. Be on top of your transactions and balances. Save with 0.5% rebate on all foreign currency spend and 0.2% rebate on all local currency spend on your Business Debit Card. No minimum spend. No rebate cap. Enjoy savings on your mobile plan and mobile security for your phone. Free Business Alerts via email or SMS (only for Singapore-registered numbers) for the first 3 months. Good for businesses to start easily with low initial deposit. Account is opened immediately with MyInfo (Login via SingPass) or your OCBC Personal Banking credentials. Good for businesses with many transactions. Fees: S$38 monthly. First 3 months waived. Designed for expanding or established businesses. Enjoy no account fee, as well as fees waived for 1st 50 cheques cleared per month. Available to all new OCBC Business Banking customers who successfully open any OCBC Business Account. Additional eligibility criteria may apply. Will continue to be valid as long as the OCBC Business Account is maintained. 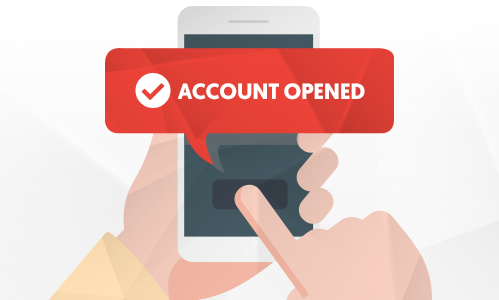 *Instant account opening is only applicable for Singapore incorporated companies opening its first OCBC Business Banking Account owned by one or two Singaporeans and PRs only, and will be subjected to approval by OCBC Bank. For others, you can still apply online and we will follow up with you on your application.